There will be a solar cooking demonstration (and tasting!) by Stan Cajdler at the Southside Sustainability Centre, corner of Wright St and Old Cleveland Rd, Carindale on December 1st 2012 at 9.30am. 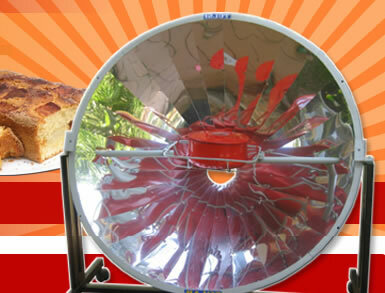 Solar cooking is actually simple and cheap. Many people in the developed world are unaware that this method is possible. So come along on Saturday and learn how to cook food with sunlight. If someone told you they could cook up a five course feast without spending any time in the kitchen, would you believe them? You would if you were a dinner guest at Jane and Stan Cajdler’s house. Sizzling Solar Systems is run by Stan and Jane Cajdler and actively promotes the use of solar cooking aides.